It’s NOT just about breastfeeding or speech, it’s about maximizing human POTENTIAL! Chiropractors and other practitioners all across the world are seeing more babies/children with tethered oral tissues (TOTs). These fascial restrictions are wreaking havoc on spinal and cranial structures. If not addressed, these restrictions can lead to chronic subluxation patterns as well as neurological stress and abnormal sensory-motor development. This course will cover all aspects to consider when it comes to tethered oral tissues: potential reasons for increased number of cases, biochemical pathways, toxic stressors and nutritional deficits linked with TOTs, spinal and cranial biomechanical insults as the result of TOTs, and sensory-motor dysfunction and neurophysiological ramifications associated with TOTs. 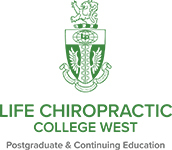 Assessment and identification of TOTs, spinal adjustments, cranial-sacral care and myofascial techniques to help manage these cases will all be covered.